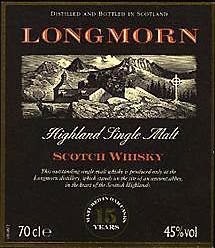 The name 'Longmorn' comes from the Old British word 'Lhanmorgund, meaning place of the holy man'. A warehouse now stands on what was reputed to he the site of the chapel itself, which was later replaced in the 15th century by an early water wheel. 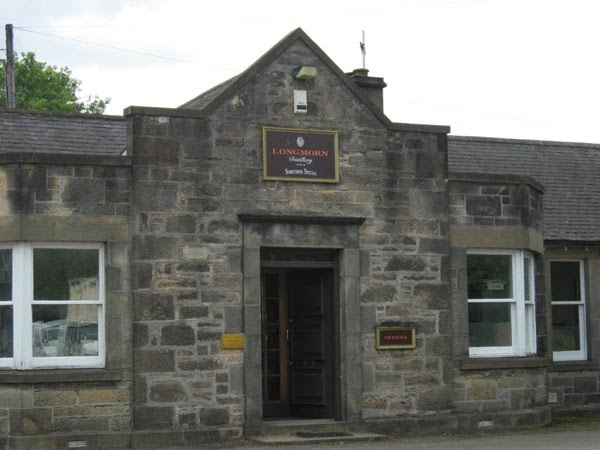 John Duff, the founder of Glenlossie, built two distilleries on this site in 1893, called Longmorn and Benriach drinking whisky. The area had an ample supply of local peat and abundant spring water from the Mannoch Hill. It was also close to the railway. 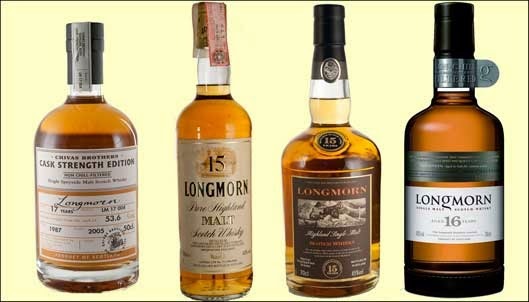 Longmorn opened in 1897 and has remained in production ever since. Owned by The Longmorn Grants' until 1970 when they merged with the Grants of Glenlivet and the Glen Grant Grants' to become The Glenlivet Distillers Ltd, which was acquired by Seagrams in 1977. It is bottled at I5 Years, as part of its proprietor's 'Heritage Selection'. 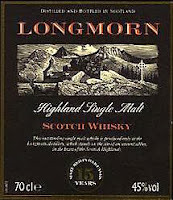 Longmorn won gold medals in IWSC in 1993 and 1994.
notes. The mouthfeel is oily-smooth, malty and sweetish, with nuts and still the hint of sherry, becoming drier in the long finish. SMWS @17 Years (58.4%): Mid gold colour, from a second fill sherry cask. The nose is a pleasing mix of pungency and sweetness, with fruit and spice, malt and must. With water it blooms, producing flowers and hay and wet earth. The taste is peppery, with almonds. The finish is dry and persistent.